In The Rise of Islamic State , Patrick Cockburn describes the conflicts behind a dramatic unraveling of US foreign policy. He shows how the West created the conditions for ISIS's explosive success by stoking the war in Syria. The West-the US and NATO in particular-underestimated the militants' potential until it was too late and failed to act against jihadi sponsors in Saudi Arabia, Turkey and Pakistan. "Quite simply, the best Western journalist at work in Iraq today." "Accessible ... Cockburn describes a continuing tragedy in which hubris and optimism destroyed a seemingly promising revolution." "Amid the many books published on the current conflicts reshaping the Middle East, few are as informative or perceptive as The Rise of Islamic State ." 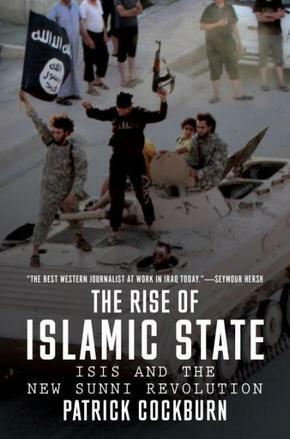 "Patrick Cockburn has produced the first history of the rise of the Islamic State ... No one is better equipped for this task ... Indispensable." "Patrick Cockburn spotted the emergence of ISIS much earlier than anybody else and wrote about it with a depth of understanding that was just in a league of its own. Nobody else was writing that stuff at that time, and the judges wondered whether the Government should consider pensioning off the whole of MI6 and hiring Patrick Cockburn instead." "An invaluable history of IS along with a powerful critique of Western policy in Iraq and Syria and an unsparing analysis of Shia politics in Baghdad." "His dispatches from Iraq are an exemplary untangling of the political and social complexity that lies behind one of the world's great crises. He writes fairly, compassionately and clearly, with a steady and knowledgeable eye." "The essential primer on the organization." "Patrick Cockburn, of the London Independent , is one of the best informed on-the-ground journalists. He was almost always correct on Iraq." "Has anyone covered this nightmare [in the Greater Middle East] better than the world's least embedded reporter, Patrick Cockburn? Not for my money. He's had the canniest, clearest-eyed view of developments in the region for years now."